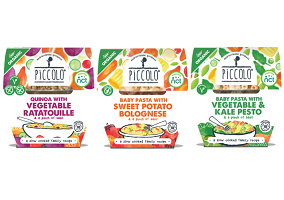 Piccolo, a UK company specialized in baby food, has announced the launch of a stage-three ready meals line that features Mediterranean flavours. Launched on the back of the firm’s stage-one and stage-two pouches, Piccolo Baby Meals come in a split pot package that combines textured grains, vegetables and sauce such that the vegetables are claimed to retain their nutrients and the grains their texture. 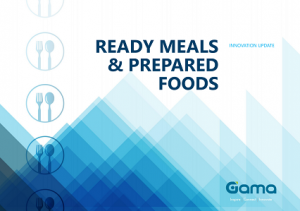 Commenting on the launch, Piccolo founder Cat Gazzoli said: “By using the innovative split pot packaging, we have ensured our meals retain maximum nutrition and texture. We are thrilled and so proud to be launching in Tesco, helping us bring our nutritious and tasty range of baby food to even more parents around the country”. Piccolo Baby Meals are being made available as Quinoa with Vegetable Ratatouille, Baby Pasta with Vegetable and Kale pesto and Baby Pasta with Sweet Potato Bolognese, the latter two claimed to be made with artisanal pasta from Italy. Piccolo Baby Meals are being made available in the UK with a recommended retail price of £2.79 ($3.84).